There are many kinds of intellectual disabilities—and many causes. Intellectual disability is the most common developmental disability. Intellectual disability (or ID) is a term used when a person has certain limitations in cognitive functioning and skills, including communication, social and self-care skills. These limitations can cause a child to develop and learn more slowly or differently than a typically developing child. Intellectual disability can happen any time before a child turns 18 years old, even before birth. Intellectual disability is the most common developmental disability. How Does an Intellectual Disability Happen? Intellectual disability – formerly known as mental retardation – can be caused by injury, disease, or a problem in the brain. For many children, the cause of their intellectual disability is unknown. Some causes of intellectual disability—such as Down syndrome, Fetal Alcohol Syndrome, Fragile X syndrome, birth defects, and infections—can happen before birth. Some happen while a baby is being born or soon after birth. Other causes of intellectual disability do not occur until a child is older; these might include severe head injury, infections or stroke. Genetic conditions. Sometimes an intellectual disability is caused by abnormal genes inherited from parents, errors when genes combine, or other reasons. Examples of genetic conditions are Down syndrome, Fragile X syndrome, and phenylketonuria (PKU). Complications during pregnancy. An intellectual disability can result when the baby does not develop inside the mother properly. For example, there may be a problem with the way the baby’s cells divide. A woman who drinks alcohol or gets an infection like rubella during pregnancy may also have a baby with an intellectual disability. Problems during birth. If there are complications during labor and birth, such as a baby not getting enough oxygen, he or she may have an intellectual disability. Diseases or toxic exposure. Diseases like whooping cough, the measles, or meningitis can cause intellectual disabilities. They can also be caused by extreme malnutrition, not getting appropriate medical care, or by being exposed to poisons like lead or mercury. We know that intellectual disability is not contagious: you can’t catch an intellectual disability from anyone else. We also know it’s not a type of mental illness, like depression. There are no cures for intellectual disability. However, children with intellectual disabilities can learn to do many things. They may just need take more time or learn differently than other children. How Common Are Intellectual Disabilities? Approximately 6.5 million people in the United States have an intellectual disability. 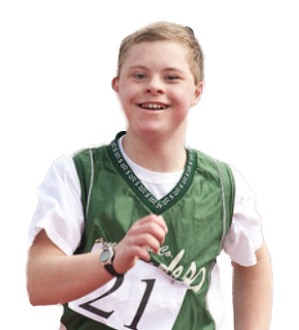 Approximately 1 – 3 percent of the global population has an intellectual disability—as many as 200 million people. Intellectual disability is significantly more common in low-income countries—16.41 in every 1,000 people. Disabilities overall are more common in low-income countries. The United Nations Development Program estimates that 80 percent of all people with disabilities live in low-income countries. While people with disabilities represent approximately one in 10 people worldwide, they are one in every five of the world’s poorest people. Sources: American Association of Intellectual and Developmental Disabilities; National Center on Birth Defects and Developmental Disabilities; the United Nations Development Program; and the Centers for Disease Control and Prevention.